Happy Friday! As we bring this week to a close, we want to thank you for joining us for #ThatBusinessShow with your Host, Jamie Meloni, every weekday at 8am on #1250WHNZ! Airing on the #MorningAir, #ThatBusinessShow is a show dedicated to promoting our local community! Bringing on professionals from all walks of life, #ThatBusinessShow is proud to #HelpOurCity! 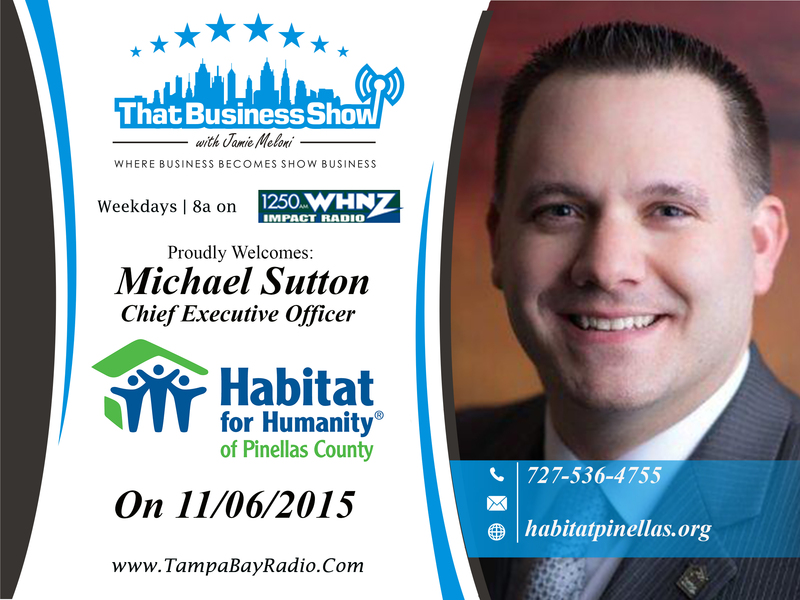 Joining Jamie Meloni today was Mike Sutton, CEO of Habitat f or Humanity Pinellas! 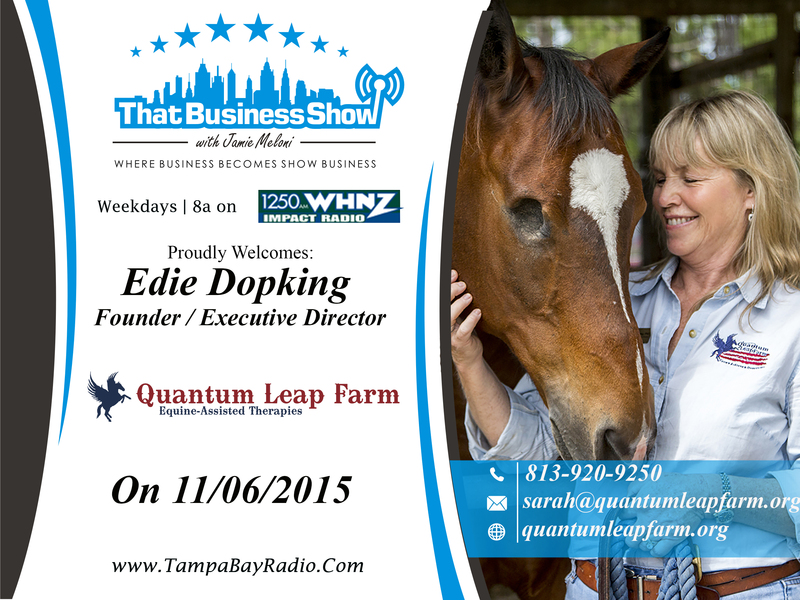 Also coming on the #MorningAir with Jamie was Edie Dopking, Founder and Executive Director of Quantum Leap Farm, and one of their board members, participants, and volunteers, Mark lalli! If you missed today’s show, then head to http://www.tampabayradio.com or Jamie’s YouTube Channel at http://www.youtube.com/jamiemeloni to catch all of our live streamed episodes on demand! Joining our Host, Jamie Meloni first on the #MorningAir was Mike Sutton, CEO of Habitat for Humanity Pinellas. Michael Sutton is the Chief Executive Officer for Habitat for Humanity of Pinellas County, where he has served since March 2014. As CEO of a $10M nonprofit organization, Mike provides leadership and oversees the continued delivery of the Habitat for Humanity mission of partnering with people in need to build and renovate decent, affordable housing in Pinellas County. He is responsible for building and growing community partnerships, directing staff and volunteers, overseeing fundraising efforts, and maintaining a high level of quality for all Habitat programs. Habitat for Humanity of Pinellas County is a top 20 Habitat affiliate (of more than 1,400 Habitat affiliates in the US). Discussing what Habitat for Humanity does for the community, we really enjoyed Mike Sutton on the air, because he does some really great work for the community, and please consider getting involved! If you’re interested, head to http://www.habitatpinellas.org! 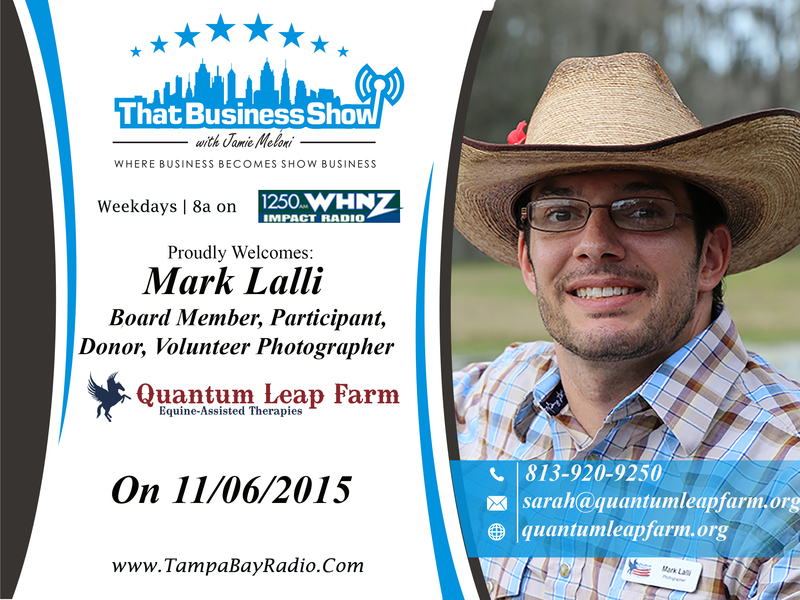 Joining us on the second half of the show was Edie Dopking, Founder and Executive Director of Quantum Leap Farm, and one of their board members, participants, and volunteers, Mark lalli. Edie Ebbert Dopking, PhD, our Founder and Executive Director started Quantum Leap Farm in 2000 after she began investigating the physical and psycho-social benefits of therapeutic horseback riding for disabled adults for her dissertation research. A lover of horses and horsemanship since she was a child, Edie has an extensive equestrian background. And now she uses her equines to foster development in people who suffer disabilities, namely veterans and people with autism. They also make an impact on our community, and serve those who served – which is always a wonderful thing! Please consider helping out, as they are also calling out for volunteers! So visit http://www.quantumleapfarm.com and check out their happenings and consider offering some support!